OK, admit it, who else is a bit stressed about the back to school rush? I always find getting back into old routines is the hardest adjustment. Trying to get my son to bed earlier, up earlier, and get myself to work is definitely a challenge for the first few weeks in September, never mind worrying about dinner ideas and cooking. A few weeks ago I received my first Hello Fresh delivery box. 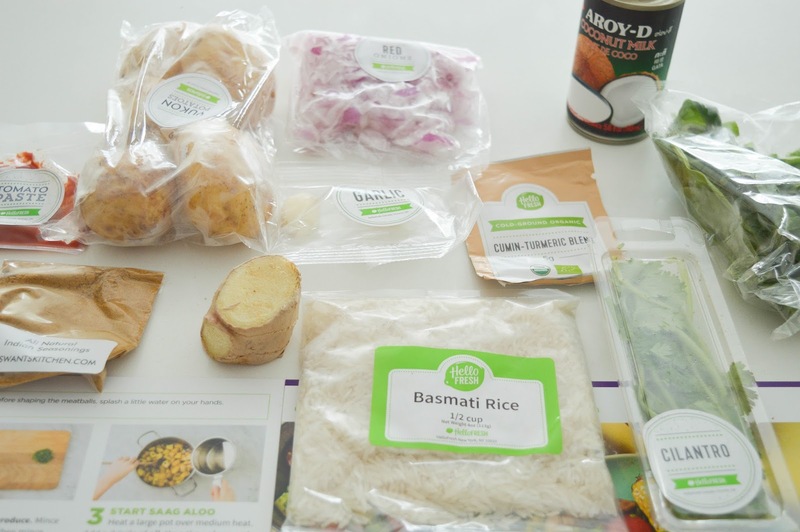 Inside this delicious subscription box are all the ingredients needed for three meals. 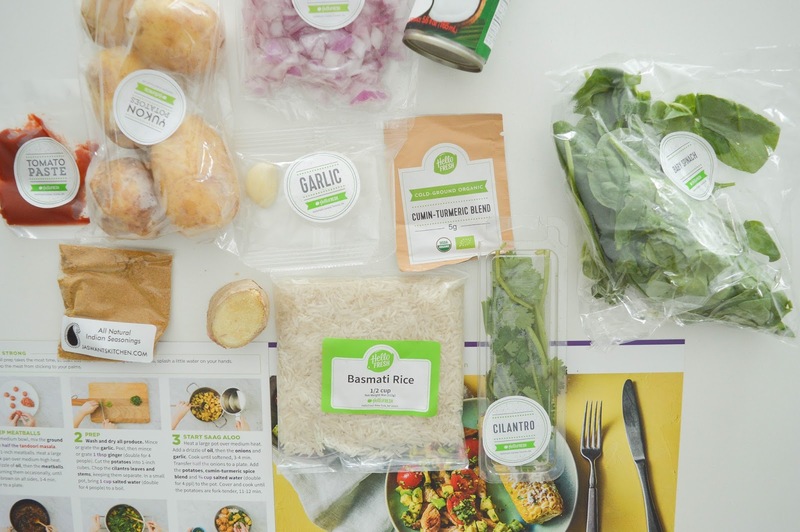 I instantly fell in love with Hello Fresh, and immediately wrote to them asking to review another meal box. So just in time for back to school, this is truly the ONE service you need to subscribe to right now. 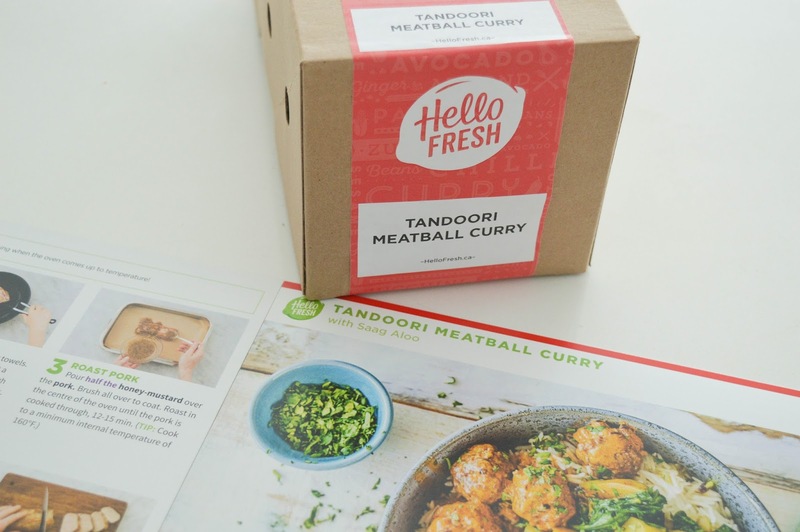 In this Hello Fresh box the three meals were, garlic lime chicken, tandoori meatball curry, and honey mustard glazed pork. A lot of you were asking about how the Hello Fresh box arrives so let me try to answer that now. The Hello Fresh box comes with around ten large frozen ice packs to keep your meat, or fish cold in case you're not around to accept the delivery right away. Again, everything you need for each meal is included and you can see from the pic below just how organized it is for you. 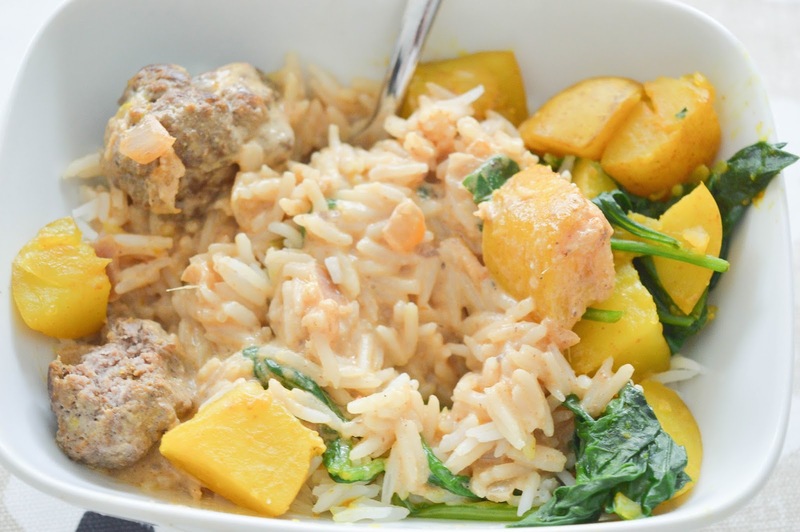 So the first meal I started to cook was the meatball curry. 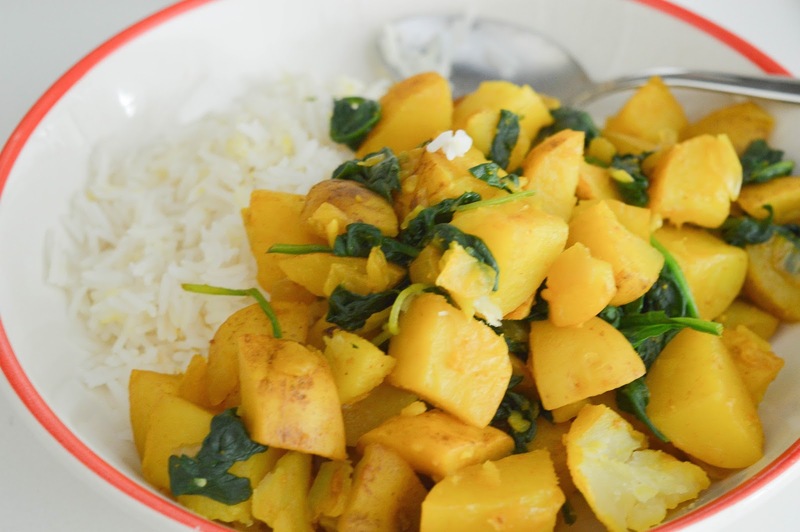 I was nervous about this one because there were a lot of spices in this meal that I have never cooked with before. Again, Hello Fresh keeps it so easy that if I can do it, so can you! Here is my finished product, this was one spicy dish! To my surprise I actually really really loved it. I loved the potatoes and probably would have been happy with just a bowl of those. Next up, we made the garlic lime chicken, and this was delicious! 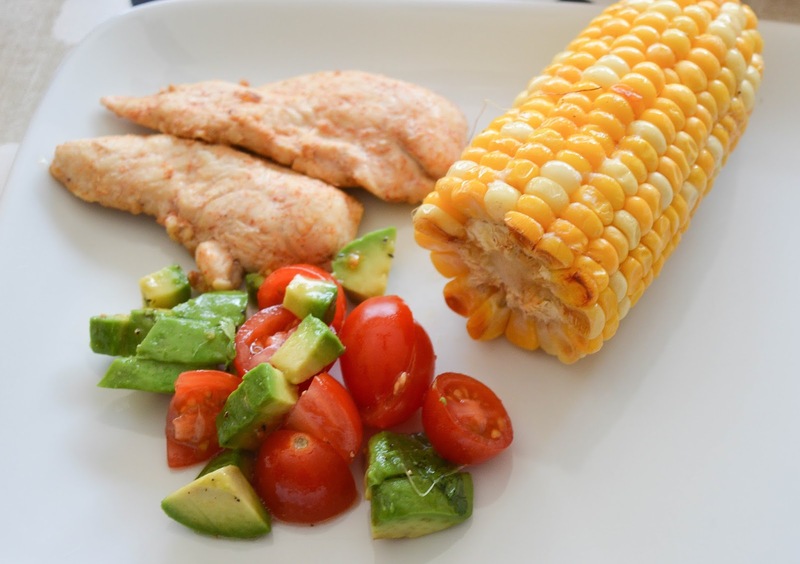 The chicken was marinated in lime juice, chili spice, and garlic, and the salsa was made with grape tomatoes, avocado, and lime juice dressing. 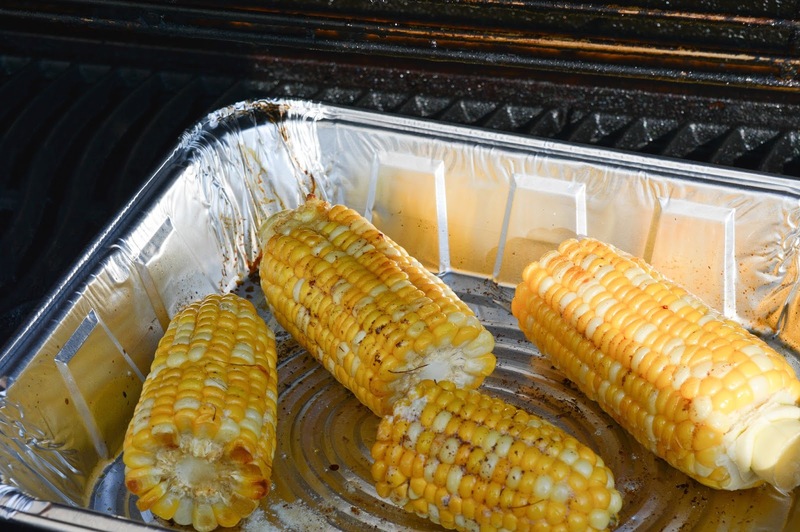 The corn had a great sour cream like dip that was fantastic too! 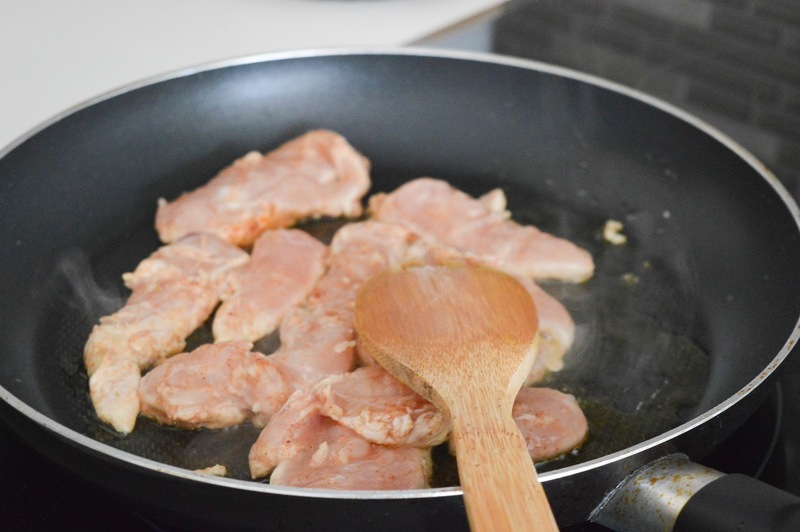 I am making the pork dish tonight and I can't wait to try it. 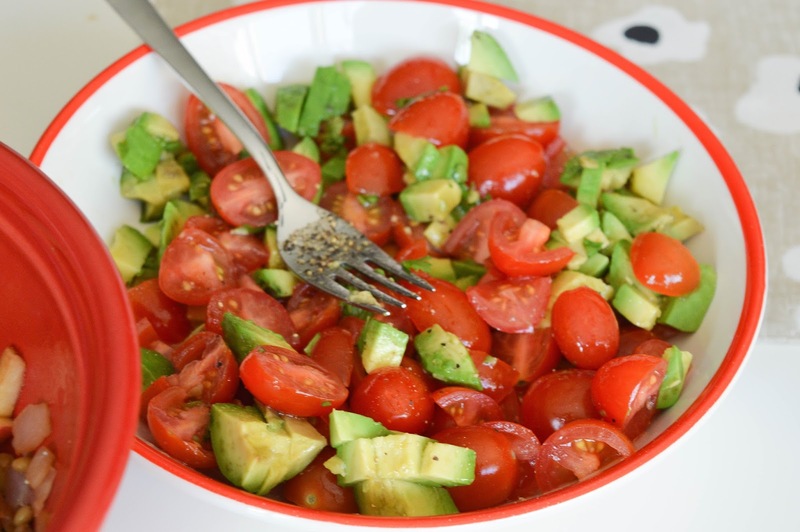 Hello Fresh is definitely a must try in your house, trust me it will transform the way you do dinner. Make sure you use HELLOMICH8 for three free meals right now!